1840 June 2. 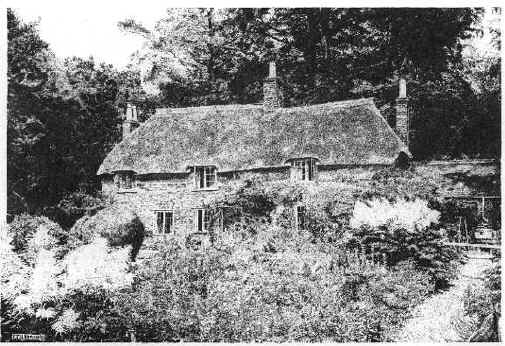 Thomas Hardy born in a cottage in Higher Bockhampton, Dorset, near the regional market town of Dorchester. Eldest of four children of Thomas Hardy and Jemima Hand. To read Hardy’s poem “Domicilium” click here. 1848 Begins school in Stinsford. 1850-1856 Continues schooling in Dorchester. 1856 Hardy witnesses the hanging of Martha Browne for the murder of her husband. 1856-1860 Articled to Dorchester architect John Hicks, Hardy later becomes his assistant. 1857 Meets and begins friendship with Horace Moule, son of Henry Moule, vicar of Fordington. Moule becomes Hardy’s intellectual mentor, and encourages his study of Latin and Greek. 1862 Moves to London to work for architect Arthur Blomfield. 1865 Hardy’s first publication, “How I Built Myself a House”, appears in Chambers’s Journal. Begins to write poetry. 1867 Returns to Dorset and works for Hicks on church restoration. 1868 Completes his first novel, The Poor Man and the Lady, and submits it to Alexander Macmillan. Novel is rejected by Macmillan, who suggests that Hardy try Chapman and Hall. 1869 Chapman and Halls’ reader, George Meredith, rejects novel, and suggests Hardy write a story with “more plot.” Smith, Elder also rejects novel. Begins working for Weymouth architect G. R. Crickmay, who specializes in church restoration. 1870 Meets his future wife Emma Lavinia Gifford in St. Juliot, Cornwall, while working on restoration of local church. 1871 Desperate Remedies published (at Hardy’s expense) in three volumes by Tinsley Brothers. 1872 Under the Greenwood Tree published in two volumes by Tinsley Brothers. Hardy moves from Weymouth to London. His first request to marry Emma Gifford is rejected by her father. 1873 A Pair of Blue Eyes, previously serialized in Tinsley’s Magazine and the New York Tribune, published by Tinsley Brothers in three volumes. Horace Moule commits suicide. To read Hardy’s poem “Standing by the Mantelpiece (H.M.M., 1873)” click here. 1874 Far from the Madding Crowd serialized in Cornhill Magazine and published in two volumes by Smith, Elder. It is Hardy’s first substantial literary success. Hardy marries Emma Gifford and the two rent a house in Surbiton, London, and later move to Paddington. 1875 The Hardys move to Swanage, Dorset. 1876 The Hand of Ethelberta, previously serialized in Cornhill Magazine, published in two volumes by Smith, Elder. The Hardys move to Yeovil, Somerset, and then to Sturminister Newton, Dorset. 1878 The Return of the Native, previously serialized in Belgravia Magazine, published in three volumes by Smith, Elder. The Hardy’s move to Tooting, London. An Indiscretion in the Life of an Heiress (a version of part of The Poor Man and the Lady) serialized in New Quarterly Magazineand Harper’s Weekly, New York. 1880 The Trumpet-Major, previously serialized in Good Words and Dermorest’s Monthly Magazine, published in three volumes by Smith, Elder. Hardy becomes seriously ill and dictates serial version of A Laodicean to Emma from his bed. 1881 A Laodicean, previously serialized in Harper’s New Monthly Magazine, published in New York by Harper and Brothers. The Hardys return to Dorset. 1882 Two on a Tower, previously serialized in the Atlantic Monthly, published in three volumes by Sampson Low. 1883 “The Dorsetshire Labourer” published in Longman’s Magazine. 1885 The Hardy’s move into Max Gate, a house on the outskirts of Dorchester designed by Hardy and built by his brother. 1886 The Mayor of Casterbridge, previously serialized in the Graphic and Harper’s Weekly, published in two volumes by Smith, Elder. 1887 The Woodlanders, previously serialized in Macmillan’s Magazine and Harper’s Bazar, published in three volumes by Macmillan and Company. 1888 Wessex Tales, Hardy’s first collection of short stories, published in two volumes by Macmillan. “The Profitable Reading of Fiction” published in the New York Forum. 1890 “Candour in English Fiction” published in the New Review. 1891 A Group of Noble Dames (short stories) published in one volume by Osgood, McIlvaine. Tess of the d’Urbervilles, previously serialized (in bowdlerized form) in the Graphic, published in three volumes by Osgood, McIlvaine. “The Science of Fiction” published in the New Review. Hardy is elected a member of the Athenaeum Club. 1892 Hardy’s father dies. Serialized version of The Well-Beloved published in the Illustrated London News as The Pursuit of the Well-Beloved. 1892-1893 Our Exploits at West Poley, a children’s story, serialized in the Boston periodical Household. 1893 Hardy meets Florence Henniker and develops an intense friendship with her, exacerbating the growing estrangement between himself and Emma Hardy. 1894 Life’s Little Ironies (short stories) published by Osgood, McIlvaine. “The Spectre of the Real,” Hardy’s collaboration with Florence Henniker, published in Today. 1895 Jude the Obscure, previously serialized in Harper’s New Monthly Magazine, published in one volume by Osgood, McIlvaine. The novel was both praised and violently attacked, the extremity of negative response contributing to Hardy’s decision to abandon novel writing. 1895-1896 Osgood, McIlvaine publishes the “Wessex Novels” edition, the first collected edition of Hardy’s work. 1897 The Well-Beloved (revised) published as a single volume by Osgood, McIlvaine. 1898 Wessex Poems and Other Verses, Hardy’s first collection of poetry, published by Harper and Brothers. 1899 Hardy writes a number of poems in response to the outbreak of the Boer War. To read Hardy’s poem “Drummer Hodge” click here. 1901 Poems of the Past and the Present published by Harper and Brothers. 1902 Macmillan becomes Hardy’s sole publisher. 1904 Hardy’s mother dies. The Dynasts, Part I. 1905 Hardy meets Florence Emily Dugdale, his future second wife. She becomes his secretary. Hardy receives an honorary degree from the University of Aberdeen. 1906 The Dynasts, Part II. 1908 The Dynasts, Part III. 1909 Time’s Laughingstocks, and Other Verses. 1910 Hardy is awarded the Order of Merit, having previously refused a knighthood. Receives the Freedom of the Borough of Dorchester. 1912 Emma Hardy suddenly dies, leading to feelings of intense remorse in Hardy. To read Hardy’s poem “The Phantom Horsewoman” click here. Macmillan begins publishing the “Wessex Edition” (24 vols. ), a collected edition of Hardy’s novels and poetry revised by him. Hardy receives the Gold Medal of the Royal Society of Literature. 1913 A Changed Man and Other Tales. Hardy receives an honourary degree from Cambridge University, and accepts an honourary fellowship of Magdalene College, Cambridge. 1914 Hardy marries Florence Dugdale. Satires of Circumstance, Lyrics, and Reveries. The Dynasts: Prologue and Epilogue privately printed. Outbreak of First World War and its brutality “destroyed all Hardy’s belief in the gradual ennoblement of man” and “gave the coup de grāce to any conception he may have nourished of a fundamental ultimate Wisdom at the back of things” (Early Life). 1915 Hardy’s sister Mary dies; his “distant cousin” Frank George, who Hardy thought of as his heir, is killed at Gallipoli. 1919 Macmillan begins publication of the deluxe “Mellstock Edition” of Hardy’s poetry and prose (37 vols.). 1920 On his 80th birthday Hardy receives messages of congratulations from George V and the Prime Minister, and is visited at Max Gate by a deputation from the Incorporated Society of Authors. 1922 Late Lyrics and Earlier with Many Other Verses. Hardy receives an honourary degree from the University of St. Andrews, and from Queen’s College, Oxford. 1923 The Famous Tragedy of the Queen of Cornwall (drama). 1925 Human Shows, Far Phantasies, Songs and Trifles. 1928 January 11. Thomas Hardy dies. His heart is removed and buried in Emma Hardy’s grave in Stinsford Churchyard. His body is cremated and the ashes buried in Poet’s Corner, Westminster Abbey. Winter Words, his last volume of poetry, published posthumously. Henry, Hardy’s brother, dies. 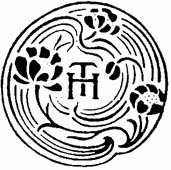 1928-1930 Hardy’s two-volume “autobiography,” The Early Life of Thomas Hardy, 1840-1891 and The Later Years of Thomas Hardy, 1892-1928 is published (on his instruction) by Macmillan under Florence Hardy’s name. 1940 Kate Hardy, Hardy’s last sibling, dies.